WP Online Support are true professionals at their craft, delivering pleasant WordPress experiences to more than 200,000 people. Those kind of numbers don’t happen by chance, and always require hard-work dedication, and precision in product vision. Pulito is a good example of smart-thinking combined with creative freedom. It’s a clean, not over the top WordPress theme for writers, bloggers, freelancers, and those who like to emphasize writing above all else. 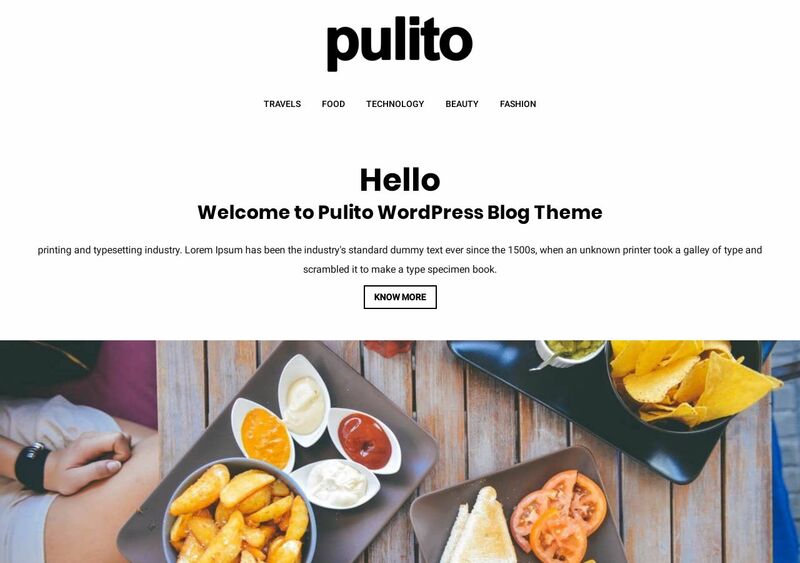 We feel the main focus of Pulito is found within blog posts. The blog post layouts feel fresh, on-point, and without the jerkiness of too many additional elements. Whenever a blog post ends, there’s enough space to put social icons, related posts, and a comment section to finish it all off. A great theme that’s free to download.